ROCHELE IS POSTING! WATCH OUT! Welcome to What’s for Lunch BC, Rochele. Why thank you, it’s great to be here. Five cheesesteaks, three milkshakes, and two ice cream sandwiches. I didn’t know I could eat that much, but I did last week at the American Cheesesteak Company on Davie Street which has only been open for a month. 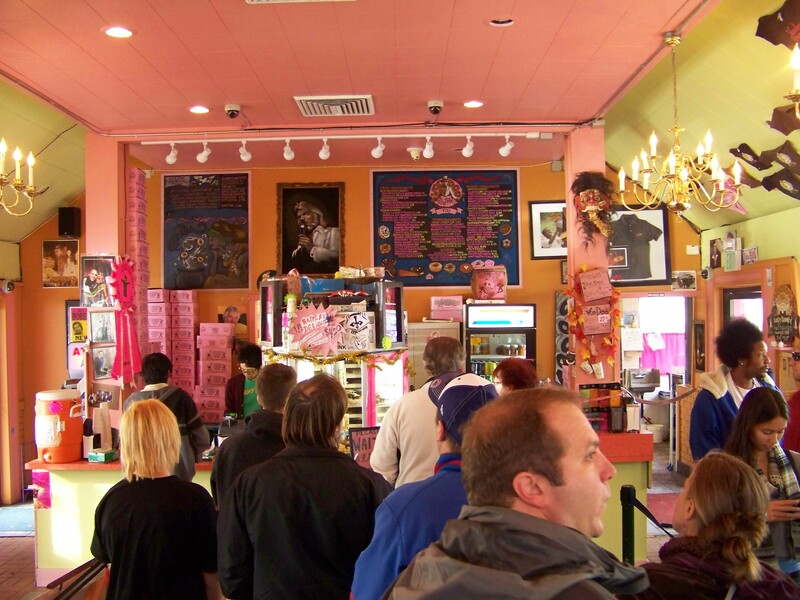 According to the owner Andy, Philadelphia is home to more than 2,000 cheesesteak eateries. He and his team, including The Food Network’s very own Chef Anthony Sedlak, spent a year developing the menu. 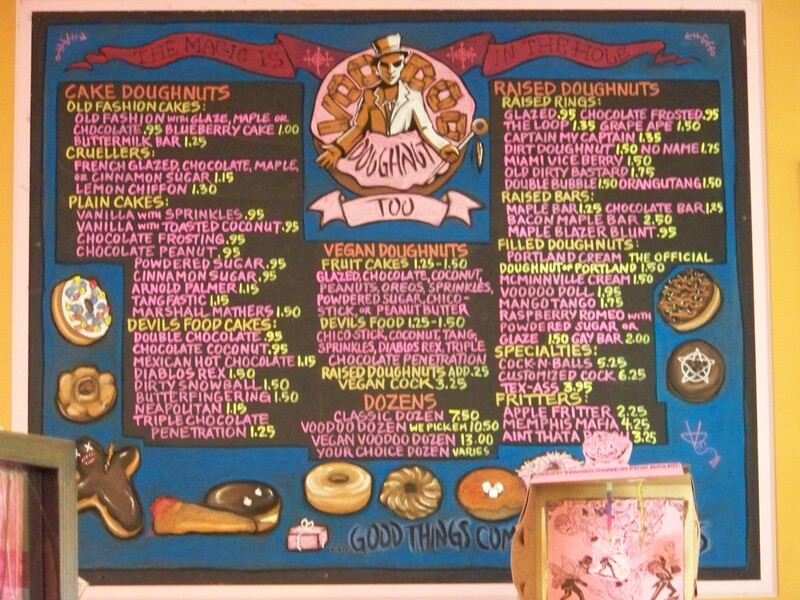 It turns out that this American classic, complete with Cheese Wiz, has found itself at home in Vancouver’s west end. 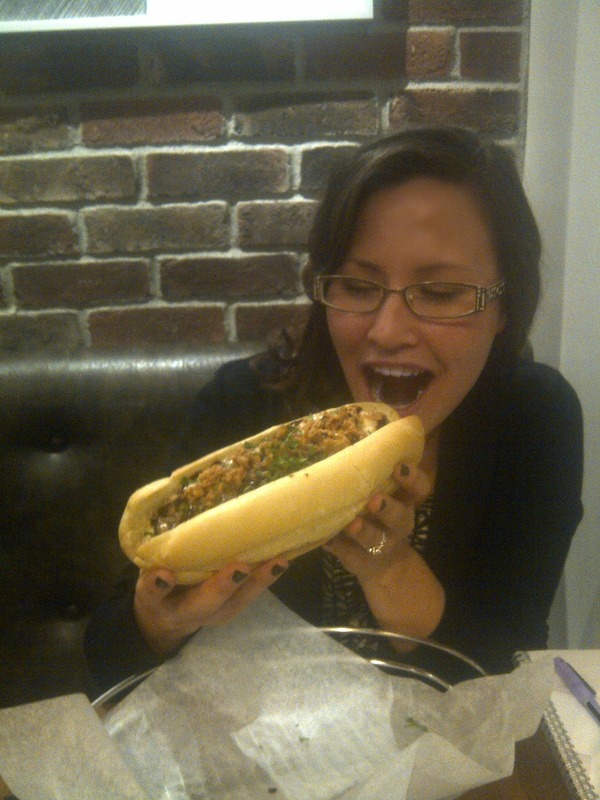 Until then, I’d never had a Philly cheesesteak and I went in with the expectation of salty, greasy, stringy beef. I was misguided: totally surprised at the first few bites of The Philly- shaved rib eye seasoned with salt and pepper, and Cheese Wiz on a bun. 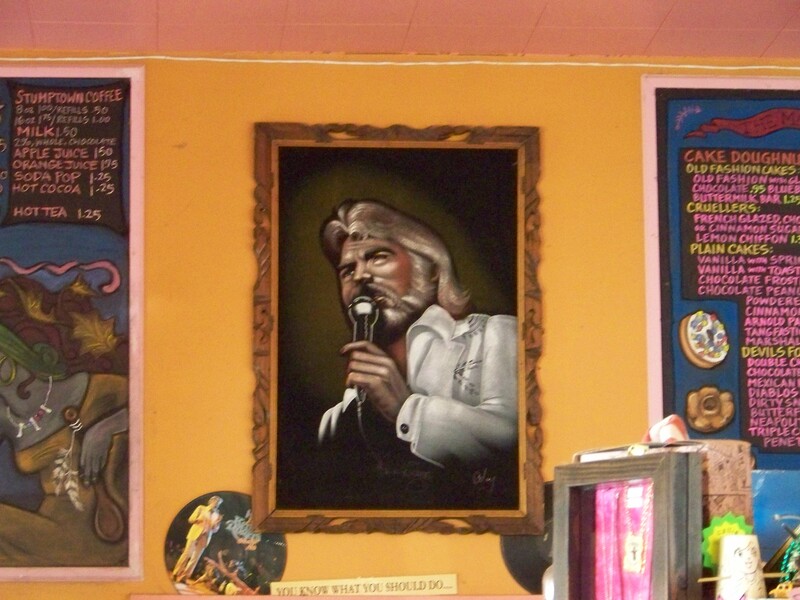 Really, don’t knock the Wiz until you’ve tried it because it fits. 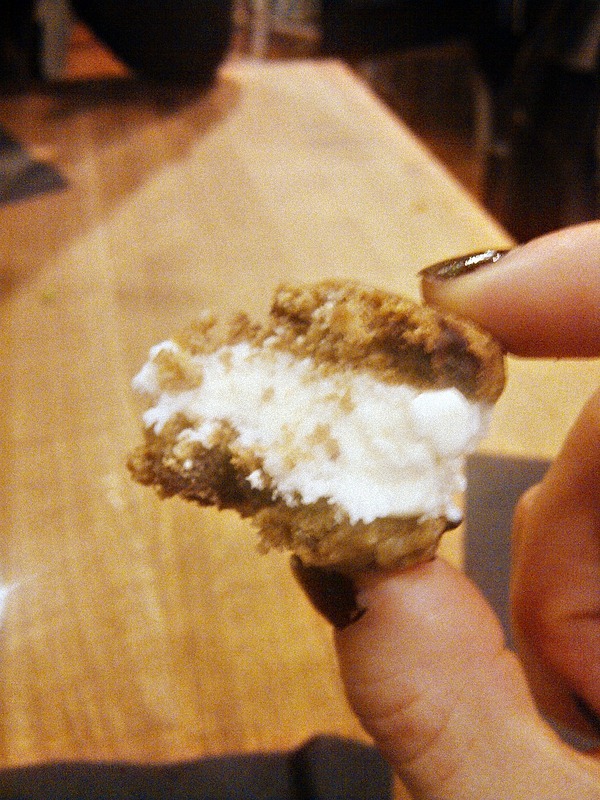 It wasn’t soggy either, which was surprising as the buns are so soft. Le Bifteck – My favourite. 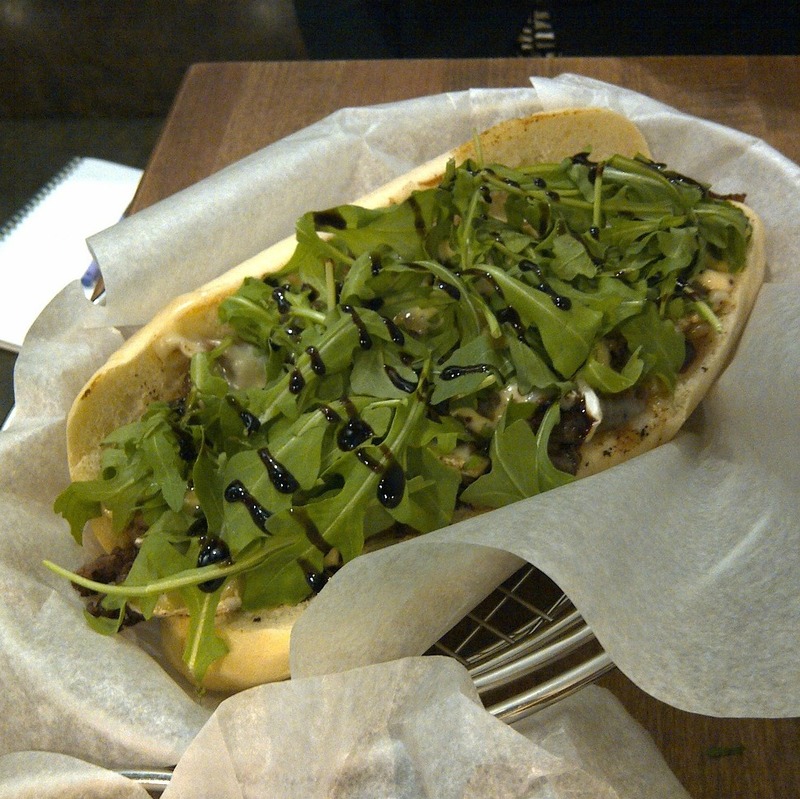 It was the refreshing option with arugula, brie, Dijon, and also with onion jam which is a bit sweet. The flavours are unexpected but really complement each other. 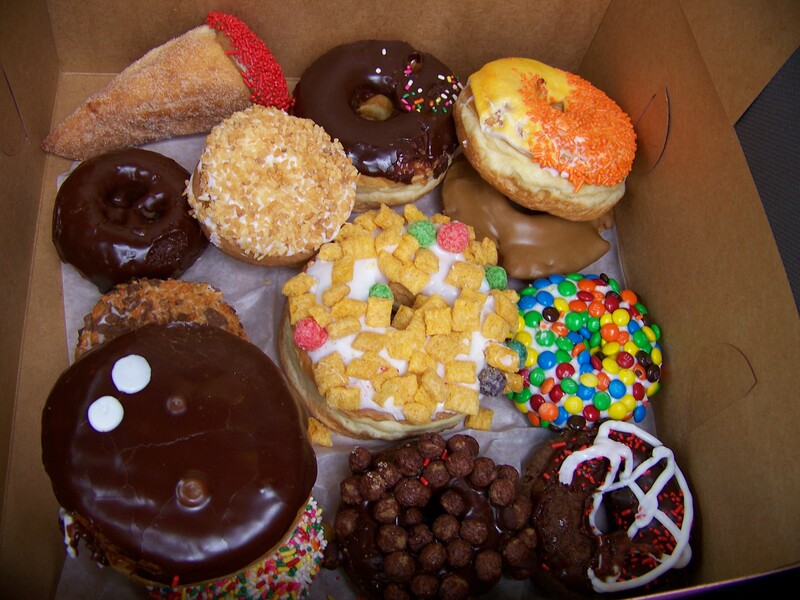 My mouth waters when I think about it. 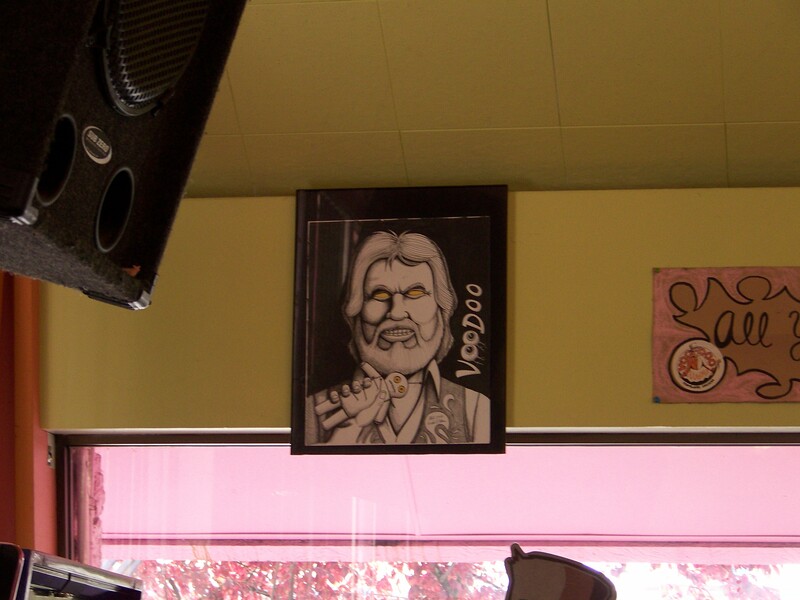 The Big Shot – Immediately I tasted black pepper and cheese. The mushrooms were nicely sautéed. I found the black pepper a little over powering; the rest of the flavours got a little lost. The Coppola – It has nice spicy flavours. 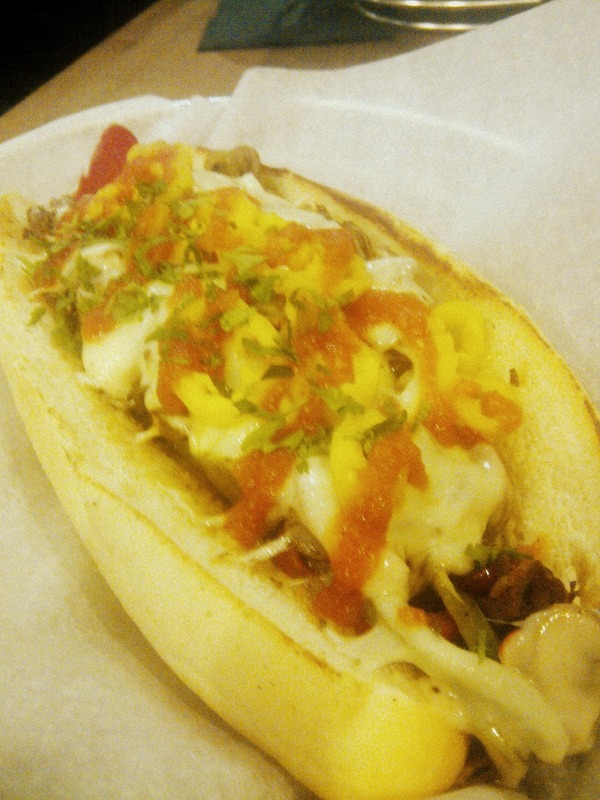 Loved the hot banana peppers, not too hot and a bit tangy, balanced nicely with the roasted tomato pieces and provolone. The bun did not hold up so well, maybe this is the one that has to be toasted a bit first, but you have to try this. 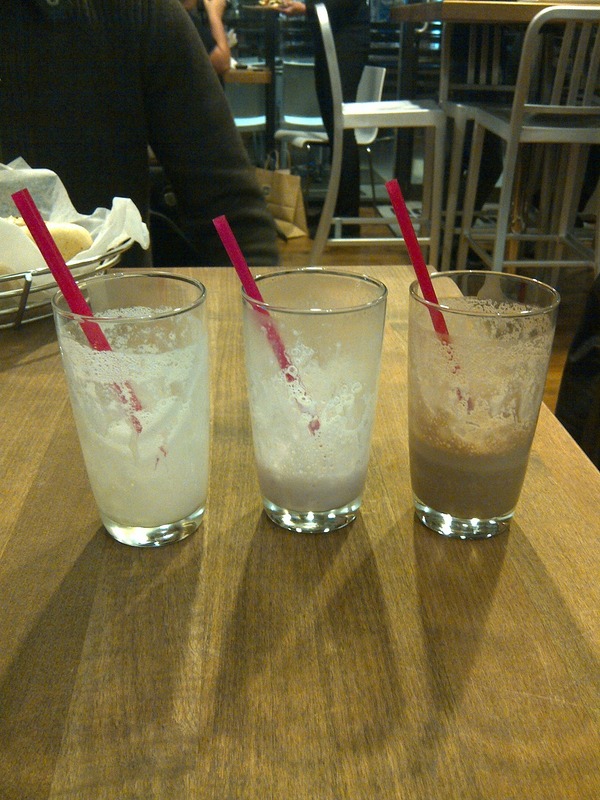 I had the luxury of trying all three flavours of milkshakes. I tried to be unbiased, but the strawberry milkshake was the best. It was thick and creamy, not too sweet, and not too frozen, very drinkable. It was gone before I realized what was happening. For something so simple, not a lot of places can get a milk shake right so I probably should have taken my time and enjoyed that a bit more. Oh well, there is always next time. 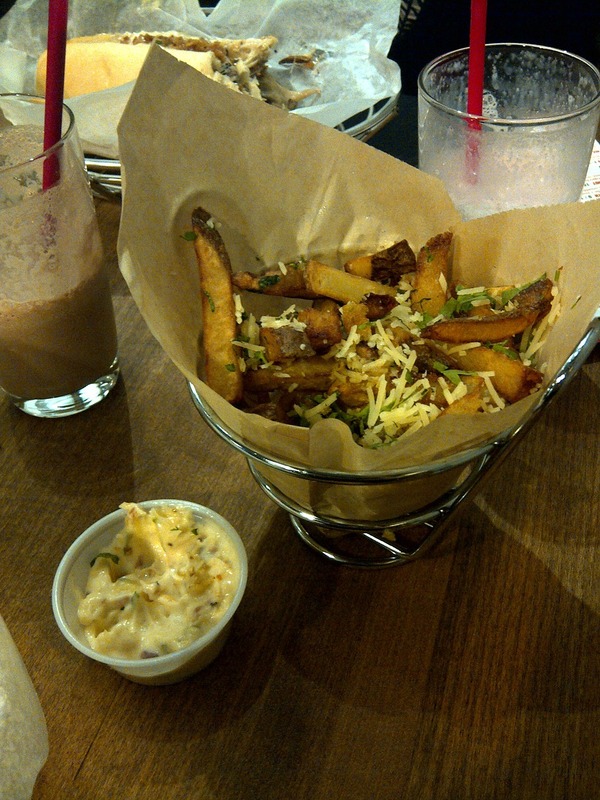 Lately the trend seems to be double cooked fries, and they are always golden and crispy. I loved the ACC fries, topped with parsley, parmesan, and garlic and served with Bacon Mayonnaise dipping sauce, this is a decadent treat. Why isn’t everything served with Bacon Mayonnaise? It’s delicious. Seriously good. And that is where I finished with ice-cream sandwiches. I really liked The American Cheesesteak Co and I’m excited to see where this goes. It was definitely above and beyond my expectations and I’ll be coming back for sure. 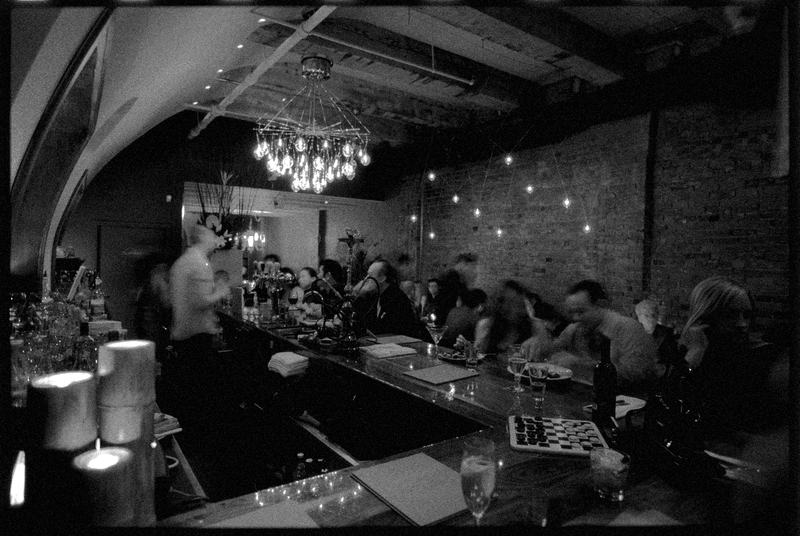 It’s an easy going, uncomplicated place to eat and I can see why it is busy all the time. Andy and Marty are cool people who know what they’re doing and there is great chemistry with Chef Anthony Sedlak. I have to say, no one in their right mind should try to eat everything I ate, that is a lot of food and a lot of stuff got packed up and taken home to be savoured again. 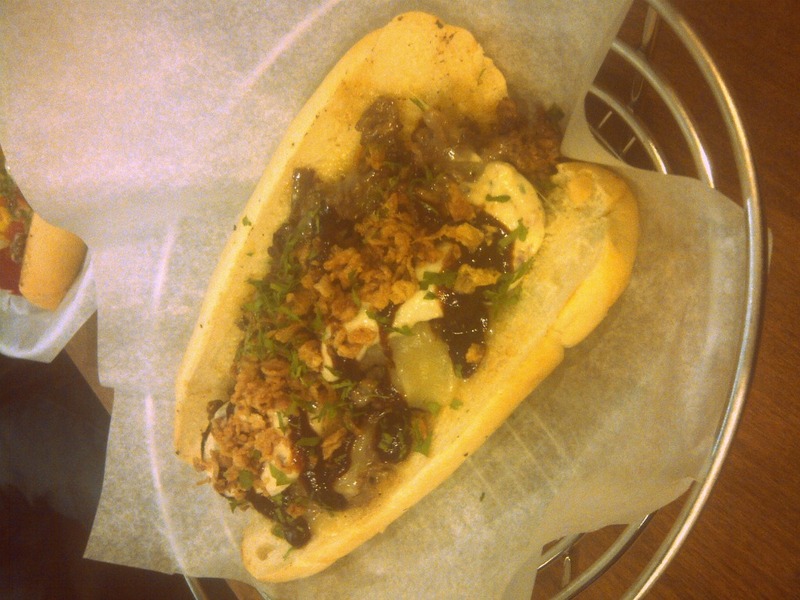 Portions are generous; there is no way that a very hungry person wouldn’t be satisfied with one of these cheesesteaks. Try it and let me know what you think! Soup is not a typical food served from a truck/trailer. It seems like something that wouldn’t work as “street food” given that it’s a liquid, it’s hot and it’s not very portable. 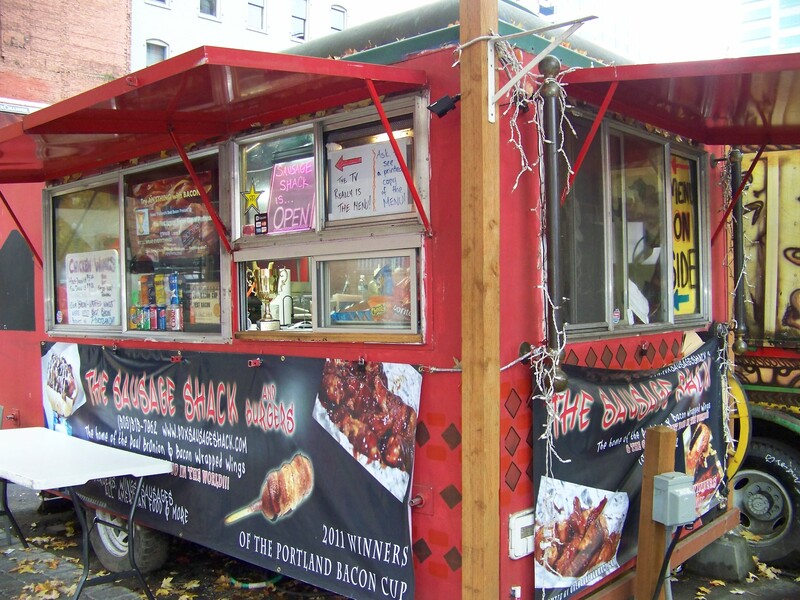 Luckily if you decide to go “Food Truckin'” on a weekend in Portland a lot of trucks are closed providing ample eating surfaces and protection from Portland’s Pacific Northwest fall/winter weather. 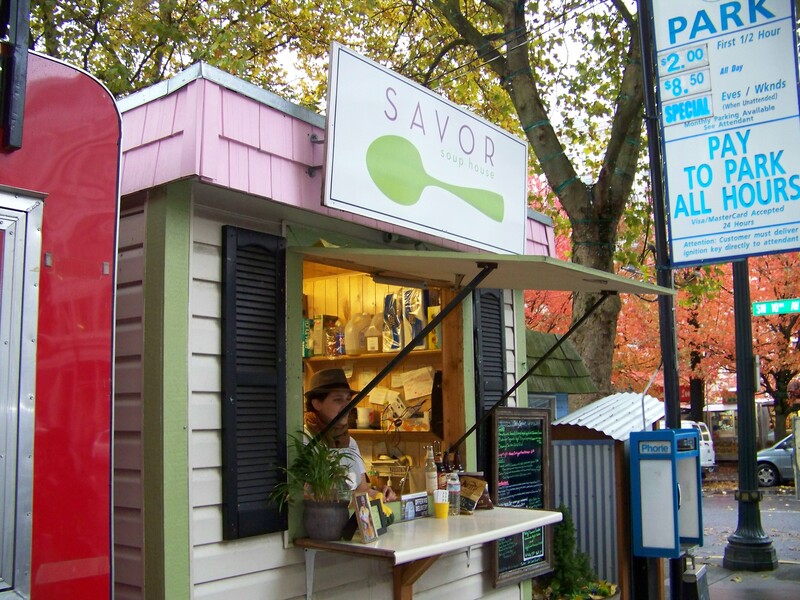 Savor Soup House is luckily one of the spots open on Saturday and it provided the perfect warm up on a cool rainy day. 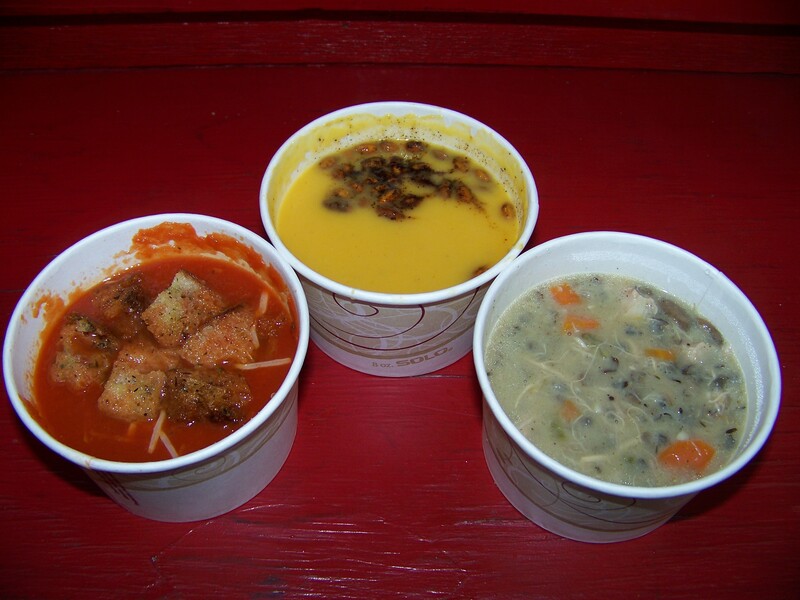 The obvious choice for those who want to try more than one soup is the $6 soup flight, consisting of decent sized servings of 3 different soups. 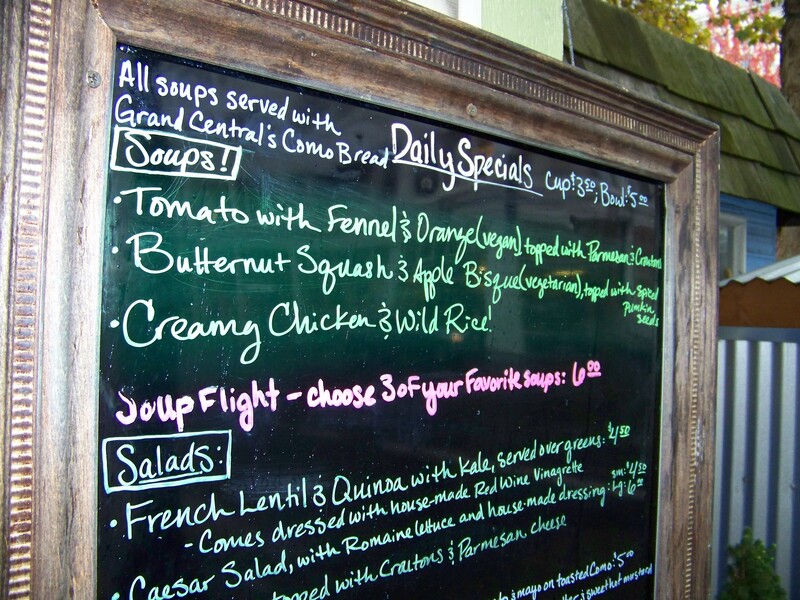 I went for the Vegan Tomato Fennel and Orange topped with Parmesan and Croutons, the Creamy Chicken and Wild Rice and finished up with the Butternut Squash and Apple Bisque topped with spiced pumpkin seeds. The Creamy Chicken and wild rice (on the right) was good, loaded with tender chicken, rice and lots of mushrooms and nicely seasoned. The Tomato soup (on the left) was a surprise, the orange added a great citrus kick to it and the croutons were and nice fresh. The Butternut Squash and Apple bisque (center) was amazing, sweet, savory, velvety, rich and the spiced pumpkin seeds were a perfect partner to this delicious soup. Soup on a cold and rainy day is unbeatable, it’s like wrapping yourself in a blanket that came straight out of the drier, so good. Once again Portland street food has blown me away. 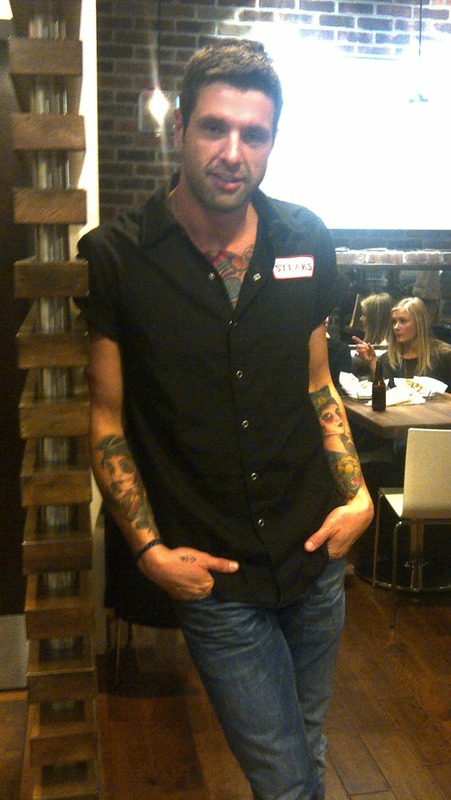 Some of you may have been following along on Twitter yesterday while I was having it out with Telus. 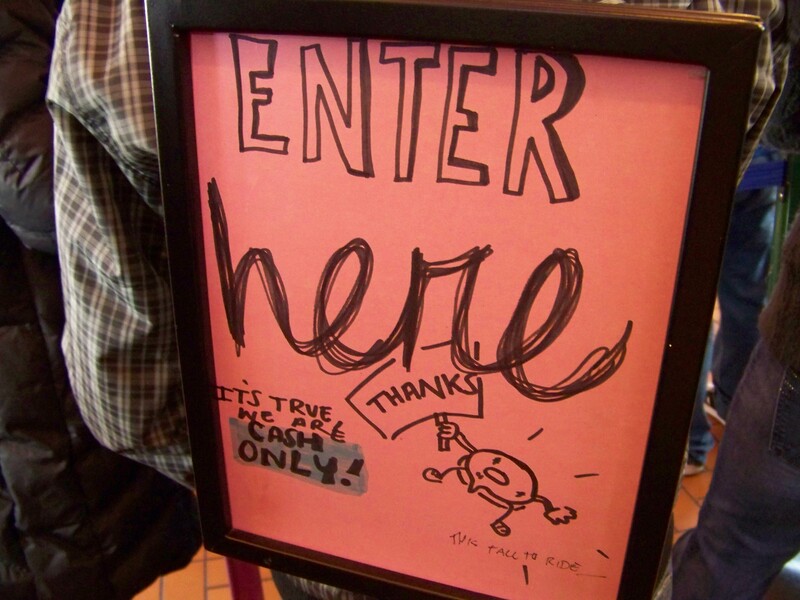 I felt that the customer service they were providing wasn’t up to the same standards as their competition. I have 2 phone plans, the other being with Rogers and decided that as of yesterday Telus was dead to me. Without beating the details to death let me sum up how my needs were dealt with by each company. I contacted Telus about a handset upgrade and was told it would cost me at least $259 with 16 months left on my contract. Rogers on the other hand contacted me about my service, offered me a handset upgrade and upgraded my plan, all without me doing a thing. My Rogers account is used by my wife and I decided to call them and see about switching my Telus number to Rogers. Their answer was…sure, no problem. A new Android handset is in the mail free of charge, a Samsung Galaxy Tab 10.1 for $149 and a new family plan that will save my wife and I roughly $50 a month and give us more data and talk time. With 16 months left on my Telus plan I have to pay them $320, which is totally worth it. If Telus had tried to keep my business they would’ve collected over $3600 of my hard earned money over the next 3 years had I renewed my contract. I guess they’re not good at math. The only bittersweet thing about this change is that I’m no longer a Blackberry guy. I’ve been a Research In Motion loyalist since the side scroll wheel days. BBM is also going to be missed but there are apps that do the same thing now so it’s not as big of a deal. I love my Blackberry but the entire RIM lineup seems light years behind the latest and greatest from Apple and Android, although for business use the berry is still the king. So the lesson I learned from my frustrating day of horrid customer service was if you don’t like something, change it. Also don’t forget that math is awesome, at $50 less per month Rogers will have paid my $320 fee to Telus back to me in 7 months. I took some pictures from the roof of 1979 Marine dr, in North Van today, 27 floors up, have a look! Culture in Vancouver – Win the ultimate Vancouver cultural experience! Want to win something? Of course you do! Culture in Vancouver is a fantastic new campaign from Tourism Vancouver that gives people from all across BC the chance to experience the best Vancouver has to offer. 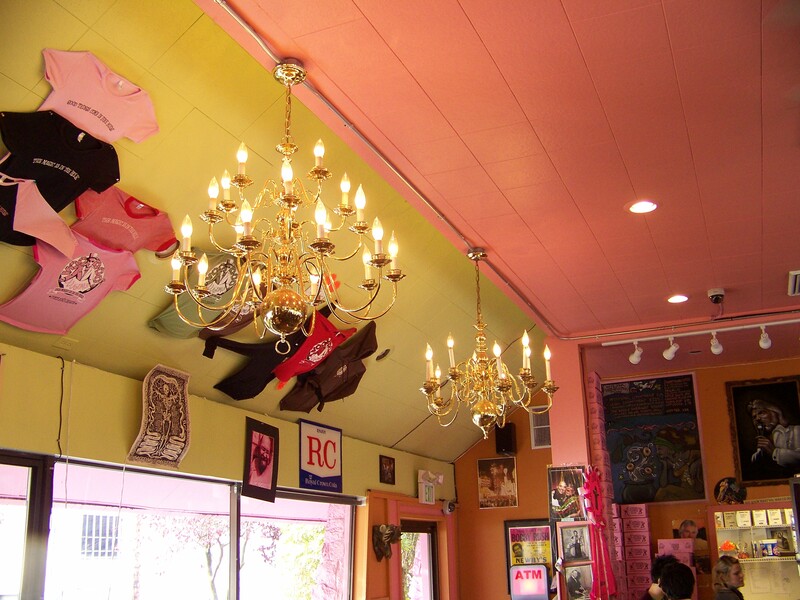 Anything from opera to burlesque, fine dining, art exhibits and much more are up for grabs. 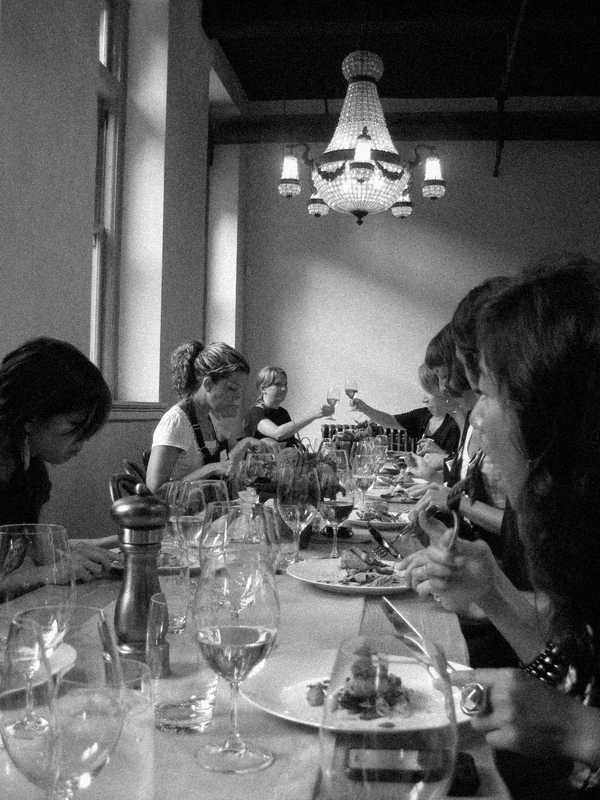 Imagine a cooking class at The Dirty Apron followed by dinner at Chambar, then drinks at Shebeen Whiskey House and a night at the Empire Landmark hotel on Robson? Or how about dinner at Diva at the Met followed by a backstage tour of the Orpheum, then front row tickets to see The National and a night at the St. Regis Hotel? That’s only 2 of the 5 prizes!! All you have to do is go to cultureinvancouver.com and enter. What are you waiting for???!!! 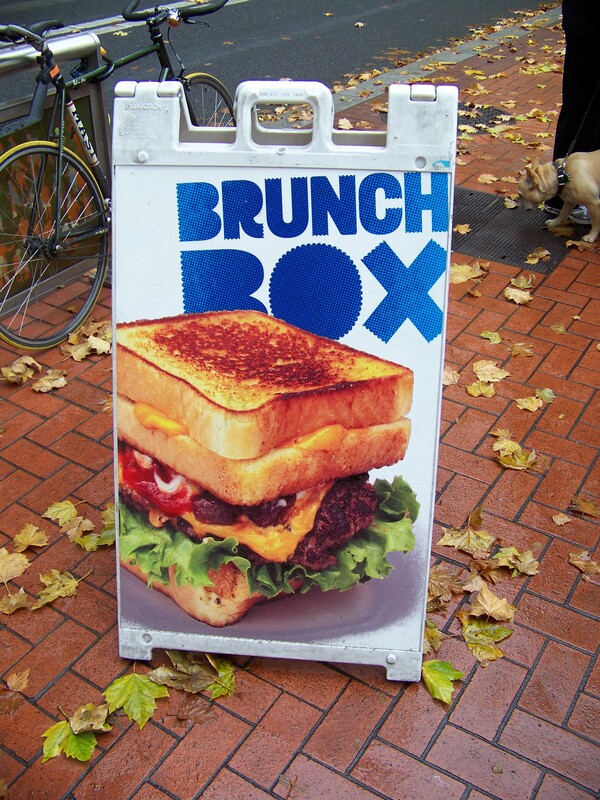 The street food love affair continues, this post focusing on Portland’s Brunch Box, as seen on Eat St. on the Food Network. 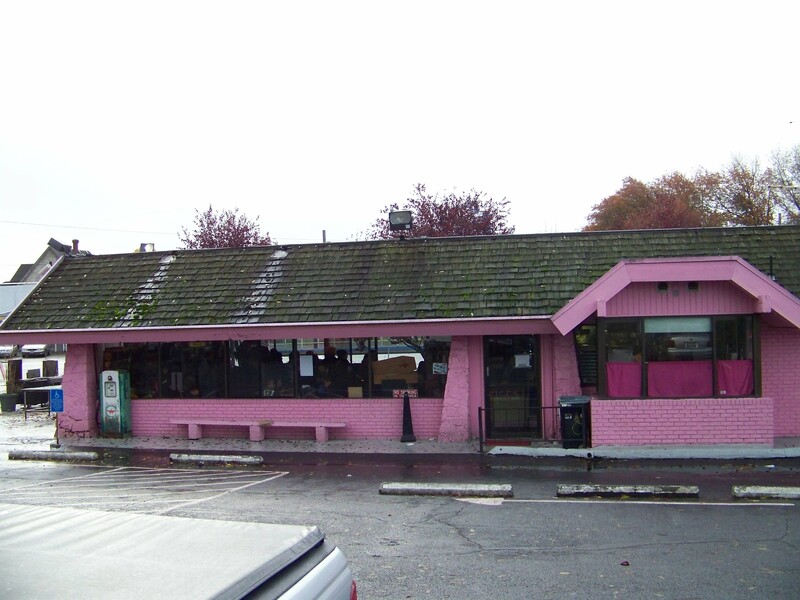 Known for their over the top burgers with even crazier names like the You Can Has Cheeseburger, the Slaughterhouse IV and the Redonkadonk, the later being named one of the most unhealthy foods in Portland. My weapon of choice was the OMG, a hand pressed black angus beef patty with cheese, bacon, ham, Spam, a fried egg, lettuce, tomato, fried onions, ketchup, mustard and mayo. It sounds crazy right? It is crazy, crazy good. I think my heart rate dropped about 20 beats per minute after I was finished but it was so worth it. You would think that with bacon, ham and Spam that the burger patty would be totally lost but it was so good, super high quality and so flavorful. 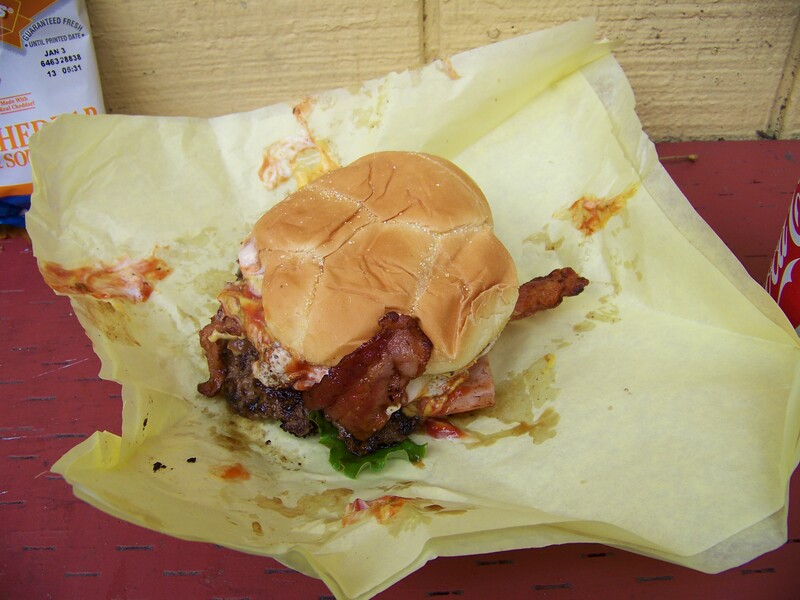 This is a messy burger so load up on napkins! 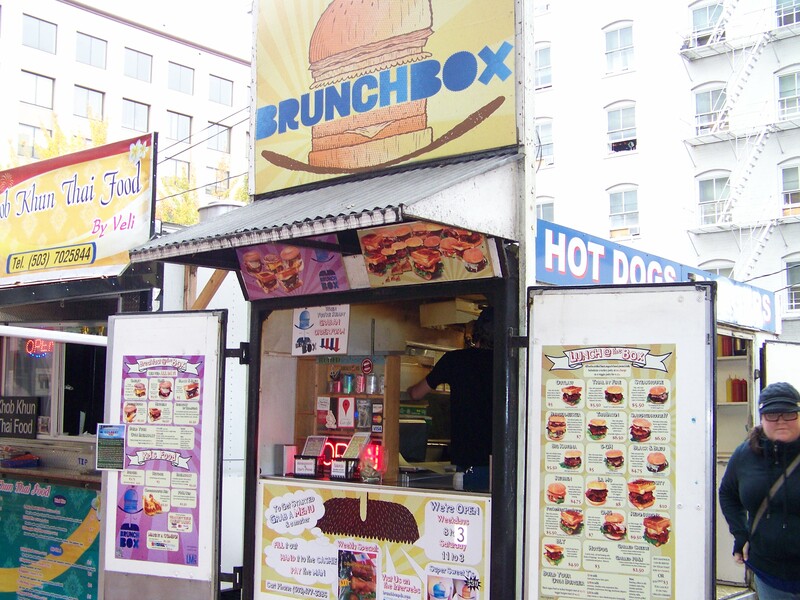 All of the toppings are fantastic together (yes, even the spam) and the bun is made fresh by the Brunch Box. 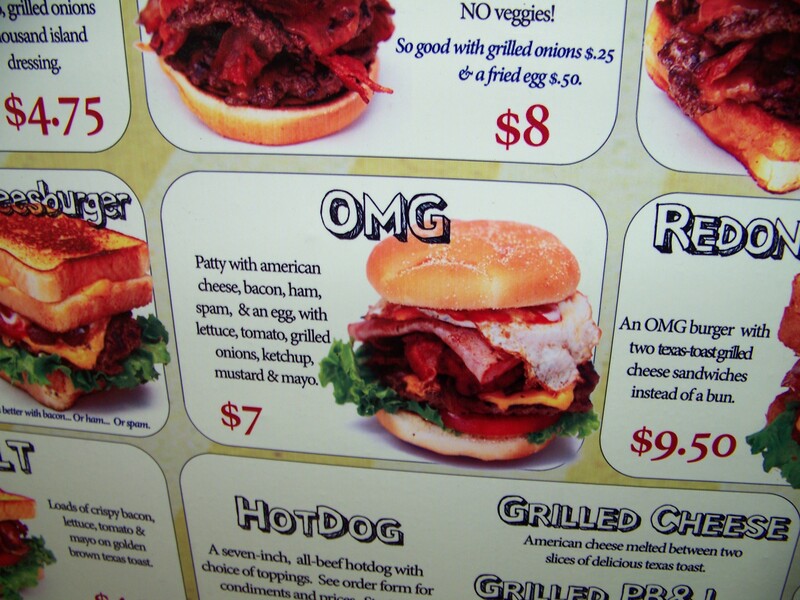 The other burgers on the menu all look great but there is one that takes the OMG to a whole other level, the Redonkadonk. It’s an OMG with 2 grilled cheese sandwiches in place of the buns, one on top and one on the bottom. I wasn’t in the mood to visit the world famous American hospital system as I hear it’s quite pricey…so I settled for the less (not much) ridiculous OMG. 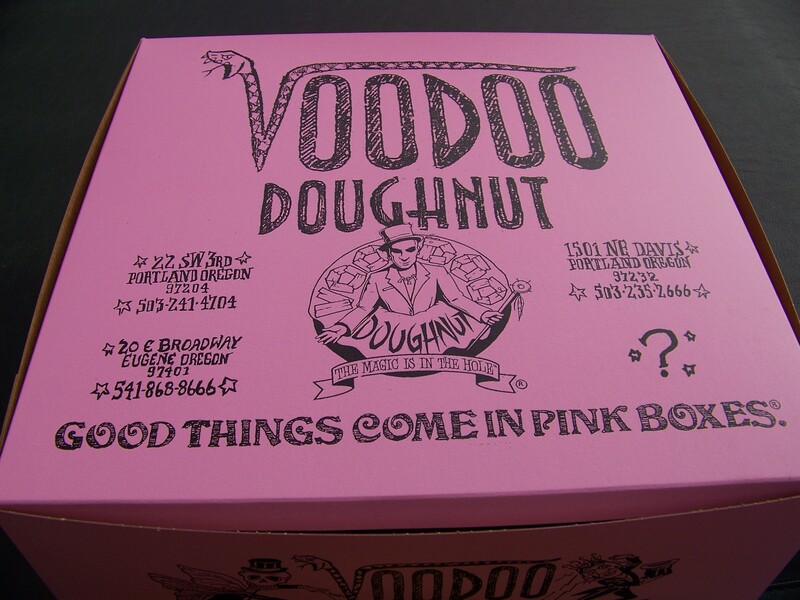 Portland is crazy awesome. 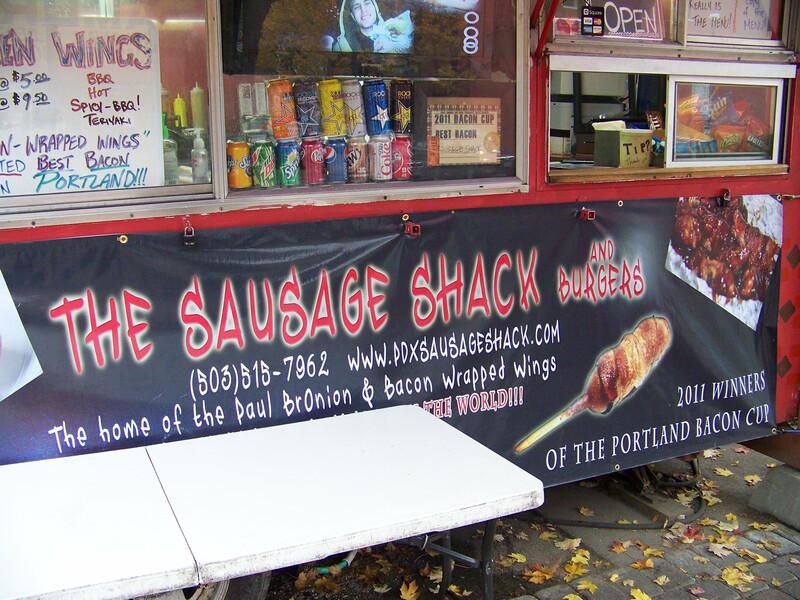 Portland, a street food lovers mecca. What could make it even better? Bacon, specifically deep fried street food wrapped in bacon. Healthy, no. Delicious, yes. 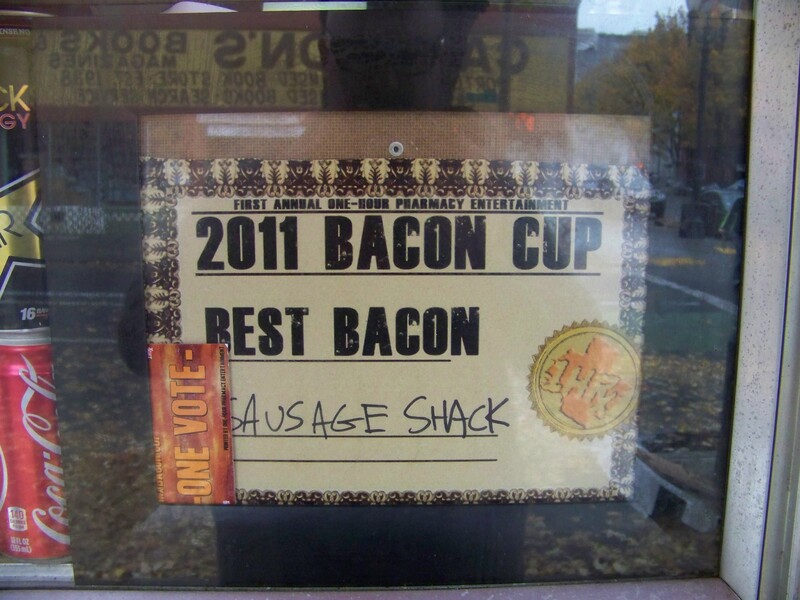 The Sausage Shack just so happens to be winners of Portland’s Illustrious 2011 Bacon Cup, the first annual. 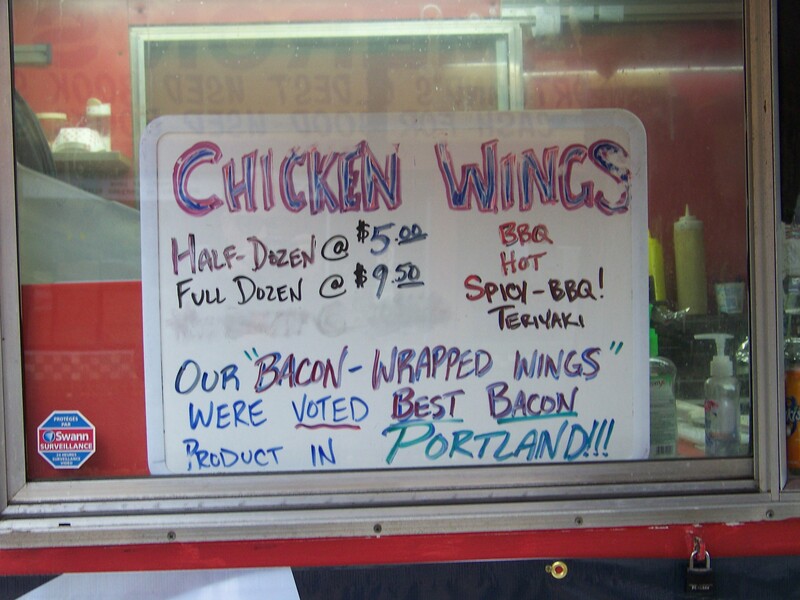 So what does one have at this bacon lovers utopia, bacon wrapped chicken wings, the Big Bacon Burger? Nope, it had to be the bacon wrapped corn dog. 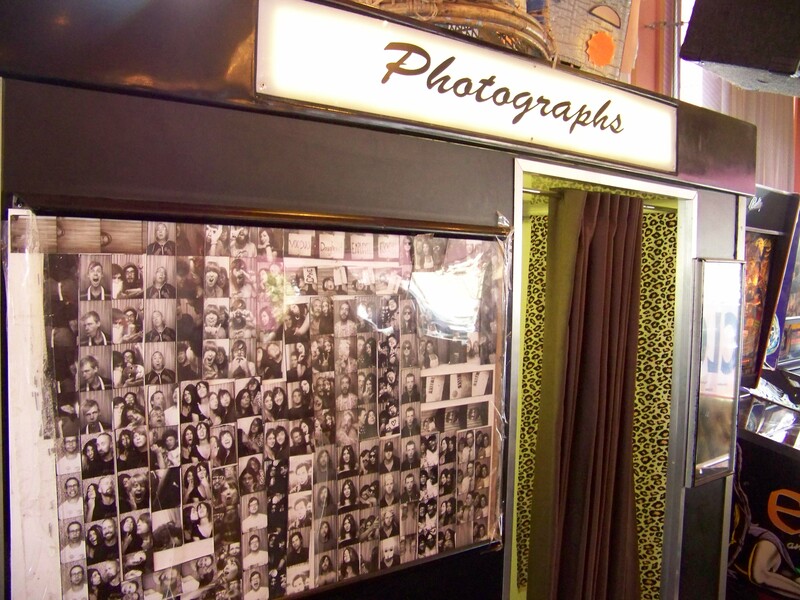 This is the smartest thing anyone has ever done, anywhere. 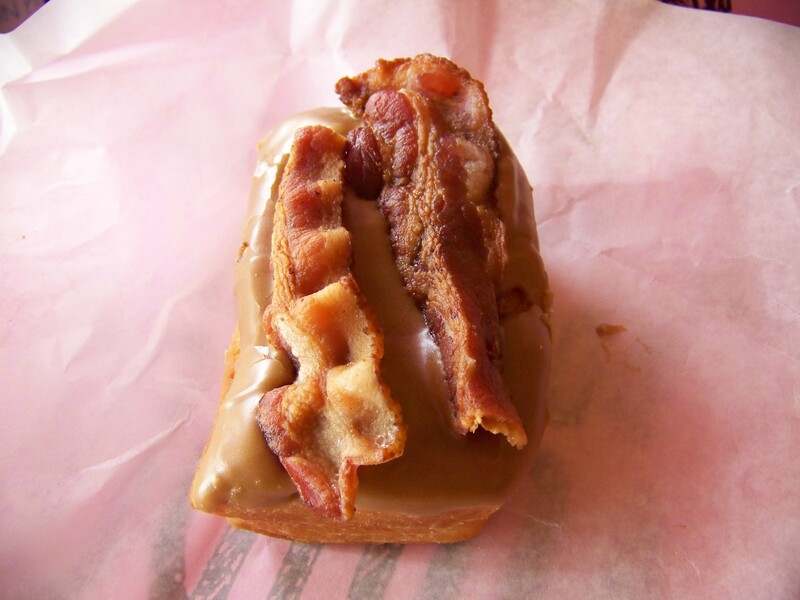 Wrap things in bacon and deep fry them. I don’t care who you are, if you’re a health nut or a marathon runner or whatever you will not be able to resist this food. 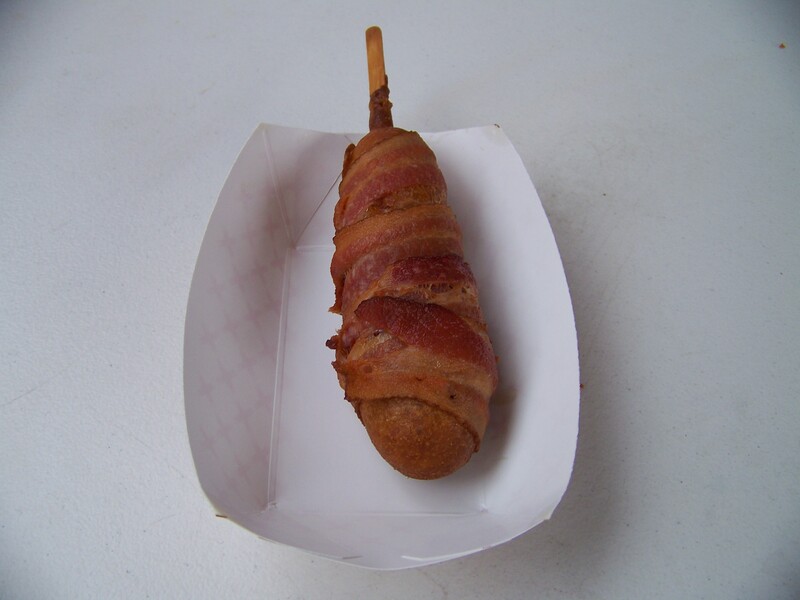 The corn dog is just a regular corn dog but when it’s wrapped in bacon…wow. This is the only thing I had at The Sausage Shack due to a fairy intensive day of food trucking but I think I made the right choice. Check out the rest of the pics!